Home > Blog > Roaming Camels > Are You Thinking About a Morocco Honeymoon? If you are planning on setting out on the biggest of life’s adventures by getting married, than may we humbly suggest you follow that up with a Morocco honeymoon adventure? What a great way to rest and recover from the big day. Set out on your honeymoon to Morocco with the one you love most, to a country that will absolutely help you create life long memories. Our tour company in Morocco has hosted a lot of honeymoon couples over the years and it has always turned out well. There are two ways you can approach this major life event. Let’s look at both. You might decide to fly directly to Morocco from North America and arrive in Casablanca, or maybe you will come across the Straits of Gibraltar from Spain and start your Morocco tour from Tangier. You might also choose to fly directly to Marrakech from a European city and that’s great too. Regardless of where you choose to start we can create a plan for you. One of the best possible options is to enjoy a 7 day tour or a 14 day tour of Morocco. If you are lucky enough to have 14 days to travel in Morocco then you are pretty much assured of seeing a large part of the country. You can include a few nights in both Marrakech and in Fes. These two cities are cultural mega hits with architecture and culture dating back centuries. Great for loads of Instagramable shots to keep your friends and family up to date. Or not. 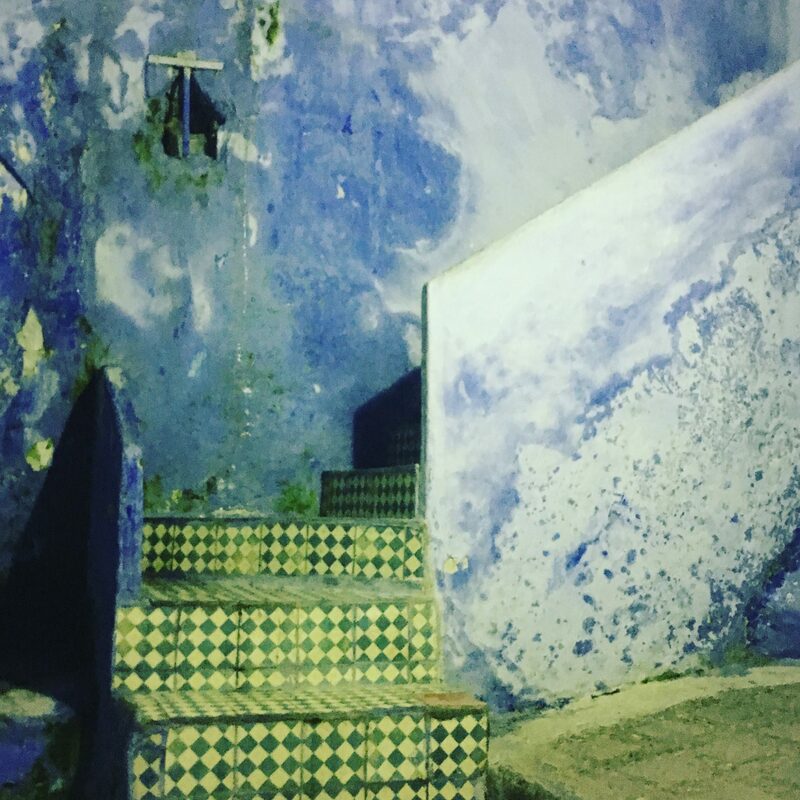 Take a trip to Chefchaouen, the small town north of Fes known as the Blue Pearl because of its predominantly blue colour. It’s a fabulous place to take a total break from the world and just relax, wander, hike, sip coffee in the square and generally unwind. Something about the air there just screams peace, love and calm. Be sure to plan some time in the desert. Yes, THE desert. The Sahara! The vast sea of sand that offers a quiet oasis for you two to explore and experience and enjoy. Definitely choose a luxury camp for this stop. If you are travelling on a bit of a budget, that’s cool, but THIS is the place to splurge a little. Enjoy a camel trek into the dunes, just the two of you. And the camel boy. But just the two of you. And the camels. And the camel boy. It’s very romantic though. Honestly. Watch the sunset over the Sahara as the highlight of your honeymoon in Morocco. Spend the night in a beautiful tent, with a fabulous meal while your nomad hosts play drums by the fire. Rise early and see the sunrise over the start of your long and happy marriage. Shower in your private en suite bathroom before heading back to your driver to continue your journey. Maybe you’ve had a busy year, planning and choosing and worrying over details. Maybe it’s time to just sit down and relax. We can do that too. You can choose to come to Marrakech for example. Spend some time in a resort just outside the city or a romantic riad in the depths of the medina. A few days in the lap of luxury can’t hurt. Enjoy a city tour, see some sights. Visit the gorgeous Jardin Majorelle. Sit by a pool and read or write Thank You notes. People still do that right? Try some fabulous, world class restaurants. And then set out to the mountains nearby for some hiking and quiet comfort. Visit the beach at Essaouira and enjoy this quiet laid back fishing village for some quiet time. Morocco is for lovers. That is for sure. When you travel with Roaming Camels Morocco we will set up a lovely trip for you within the budget you give us. We will handle all the details. Your private driver will meet you at the airport and whisk you off to start your adventure. Staying with you for the whole trip, he will be sure you are settled in to your accommodations, do all the driving and make sure you see all the attractions you can handle. We will hook you up with private guides to show you the sights of Marrakech, Fes, Tangier, Essaouira. Don’t worry about a thing. We will just spend a bit of time in the planning together, done by email, and you will have your dream honeymoon all taken care of when you land. Simple as that. Planning the actual wedding should be so easy! Contact us at roamingcamelsmorocco@gmail.com to get started on planning your perfect Morocco honeymoon.